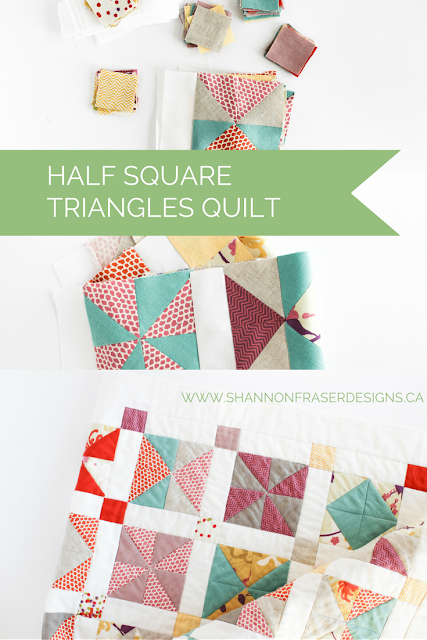 Oh how I love quilts! After spending the long Thanksgiving weekend curled up on the couch all snuggled under my first quilt, I seem to have even more of an appreciation for the labour of love quilts are. And what really struck me was just how much I love looking at patchwork and feeling the peaks and valleys created by the top quilting. But moreover what I realized is that even though this is my first quilt and it's faaarrr from perfect, the imperfections are not what I focused on. I didn't care that my stitches aren’t perfect, which they certainly aren’t. And I didn’t care that not all of my points match up, as many don’t, but what I focused on was the different fabric pairings I chose and how fun they were to look at now that I wasn’t focused on the construction of the quilt. And it just made me happy at a time where I didn't feel particularly awesome! And, if anything, the imperfections just gave me greater appreciation for how far I have come and how much I have learned along the way. And heck, you have to start somewhere! 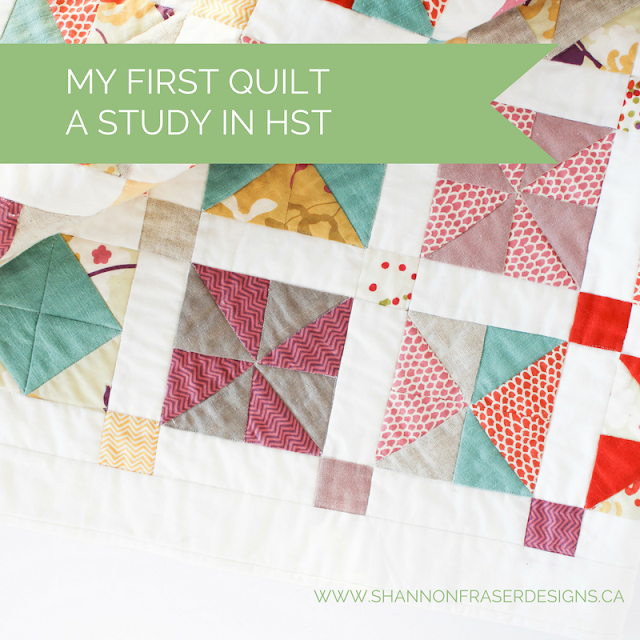 It was with a little nostalgia that I recalled my first quilt experience - the innocence that I had about the whole process. And the wonder I felt at seeing it all come together. Since I couldn’t work on my projects there were lots of moments of just sitting and admiring the work I had done. 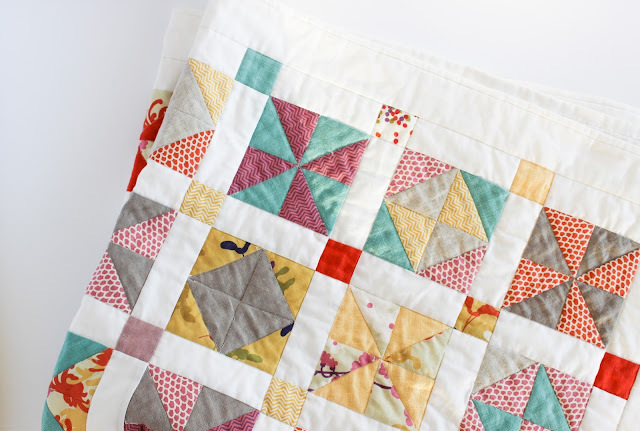 And just how much I love quilts. From start to finish! I love the design process, I love piecing, I love seeing an idea take form. And then once its bound, I love that it becomes an heirloom piece. A memory in time and a labour of love that’s meant to be enjoyed and offer comfort. And comfort it did provide! I tackled this quilt after watching some YouTube videos. Yes! YouTube was my inspiration to give quilting a go! Thank you Jenny Doan of the Missouri Star Quilting Company (one of my favs) for making such fun videos with easy to follow tutorials!! I started my sewing journey because I love fabric and I wanted to create something with all the fabric I was collecting! 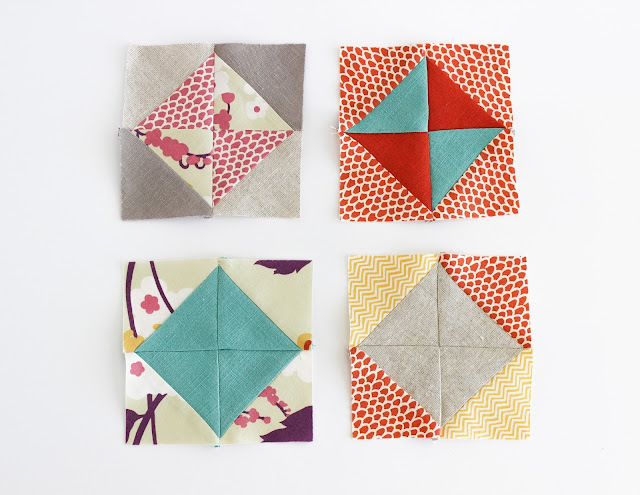 When I stumbled upon my fist quilting video it was a total a-ha moment! 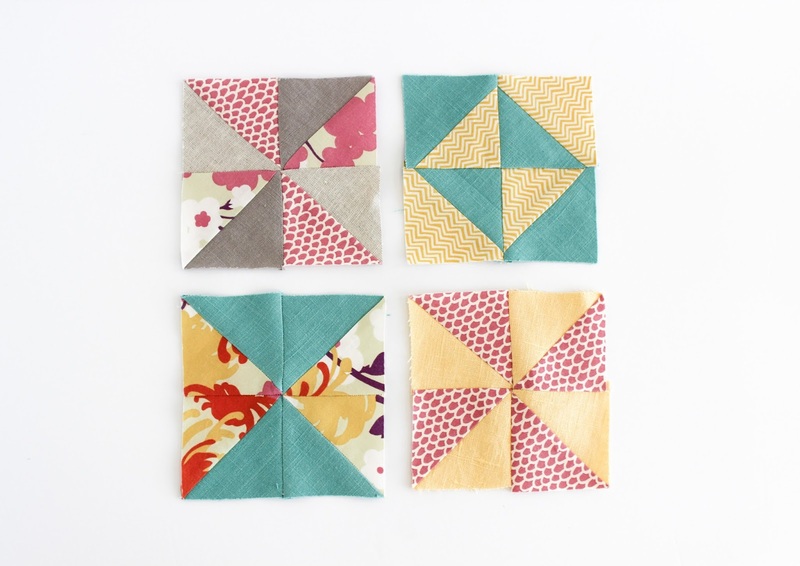 I realized quilting is all about pairing different fabrics, which was exactly what I loved to do. So one block turned into two and then a whole series of blocks as I tried out different patterns using half square triangles. I was hooked! Instantly! The possibilities were endless. And before I knew it, I was on my way to creating my very first quilt. What a journey it was! There are so many “firsts” in this quilt. My first blocks. Which I didn’t realize you needed to square up - oops! My first piecing. 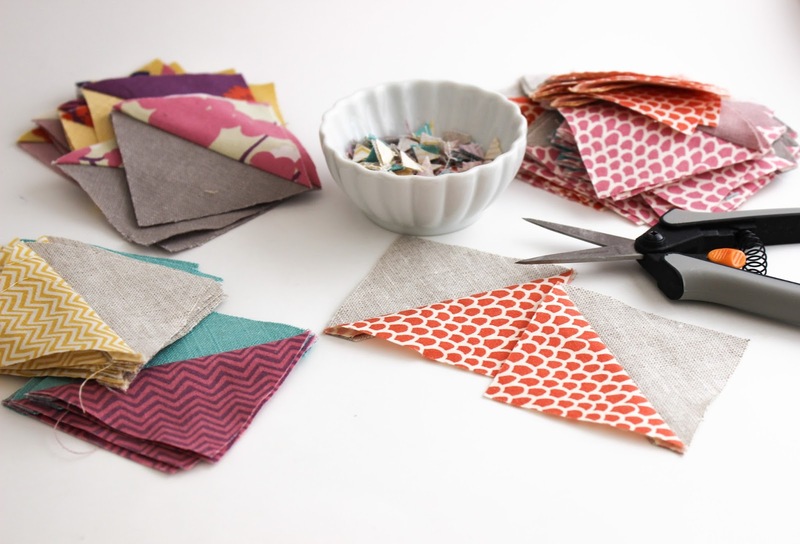 Learning all about the quilt sandwich courtesy of my quilting buddy! Tackling basting and having to re-do it, which may be why that isn’t my favourite part of the quilt journey – ha! I even learned how to hand bind for the first time. And no, my corners are not all mitred perfectly. All on this little beauty! 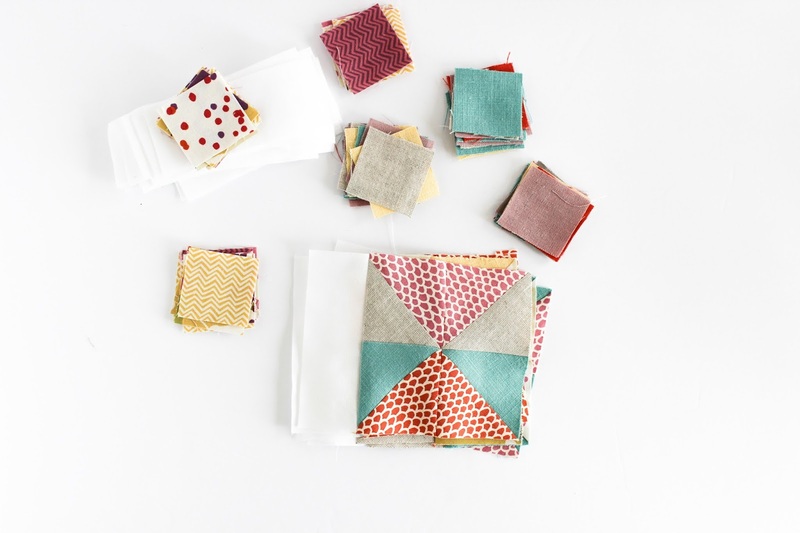 This project eventually led me to find the Montreal Modern Quilt Guild, which I just adore being a part of. And slowly I started reaching out and discovering the amazing talent in our community through blogs, Instagram and Pinterest. Oh what a glorious time it has been! 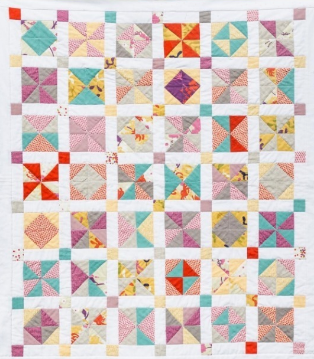 To anyone just starting their quilting journey or to anyone with 20+ years’ experience, remember its not always about how perfectly pieced your quilt top is or even how perfect your quilting is done, it's about an expression of creativity, love and learning. We grow. We learn. We evolve and along the way we amass a treasure trove of living art. So let’s be kinder to ourselves and remember this is supposed to be a fun creative journey, an outlet for our ideas and each quilt represents a challenge we've conquered! Take solace in knowing no matter how amazing our quilts are, they will be loved and appreciated and that's what really matters in the end. Great post, Shannon! It is true that I learn something new every time a create, but there is something about the process, with all its joys and struggles that I just can't resist! Thoroughly enjoyed this post, Shannon! I am so enjoying the learning process and also learning how to shush the perfectionist in me. I'm think I'm doing quite well at that. :) I have adopted the saying "Finished is better than perfect" and YES, ENJOY IT ALONG THE WAY! I am convinced quilts made for someone will be cherished no matter how imperfect. I think your quilt is wonderful and if it is a gift for someone, I know they will too. Yes!! I’m always trying to shush the perfectionist in me too, Janice!! And I too have been using the same motto of “finished is better than perfect”! It’s so liberating!! And I feel like I’m getting more accomplished  Most of my quilts are typically for someone, but this one I actually kept and it’s become my go to comfort zone when I’m not feeling well – it’s my happy place!! Great, inspiring words! Quilting should always be about the fun and not the "work". That was something my grandmother always reminded me of. She said above all else, enjoy what you are creating, and encourage others to enjoy your gifts. That quilt is lovely btw! This is so gorgeous and your color choices are just perfect! Love the buttery yellow mixed in! 💛 And don't worry, I didn't square up my first five quilts at least! It's like a secret right-of-passage into the quilting world when you finally do learn about it. Haha. Amazing blog post Shannon! I love reading you! I've been quilting for about 8 years now and every quilt is a learning experience - for me, that's the best part. And if we focus on the experience, on the learning, on the growing, little imperfections are not important. Hope you have a fantastic weekend! Thank you for such a wonderful compliment and comment, Izzy! I love your motto! 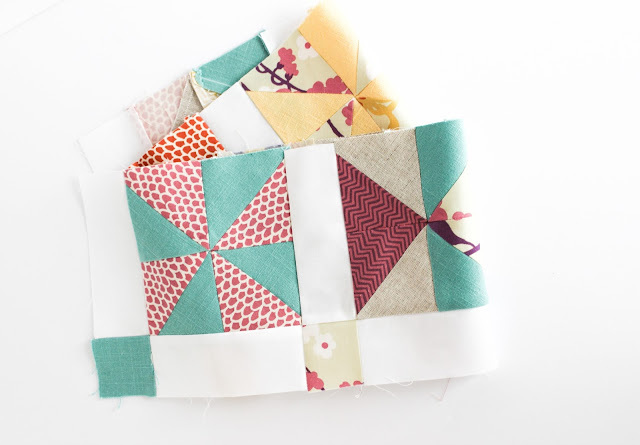 It's such an encouraging one :) Plus, better to have a less than perfect finished project than a bunch of unfinished quilts that never get to be snuggled!